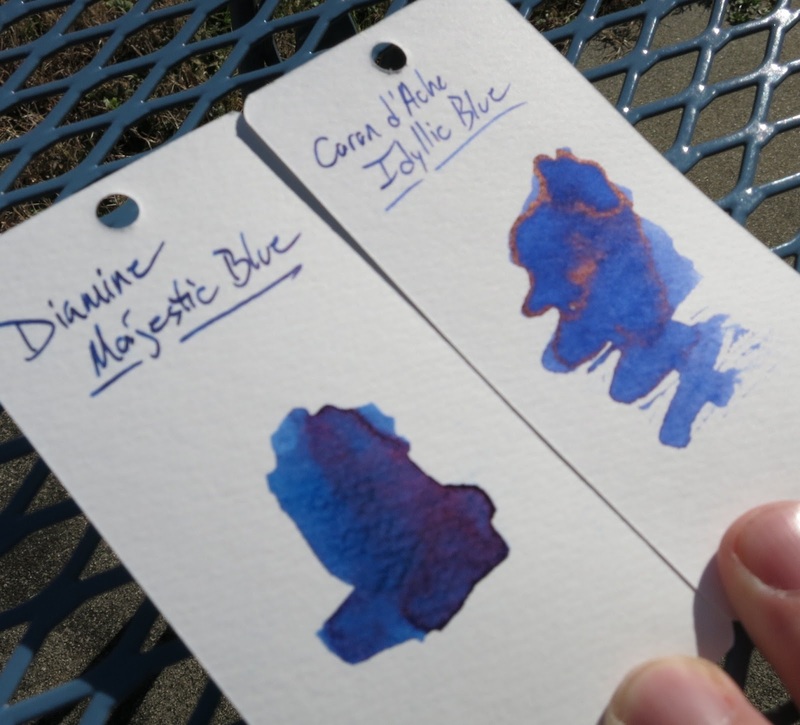 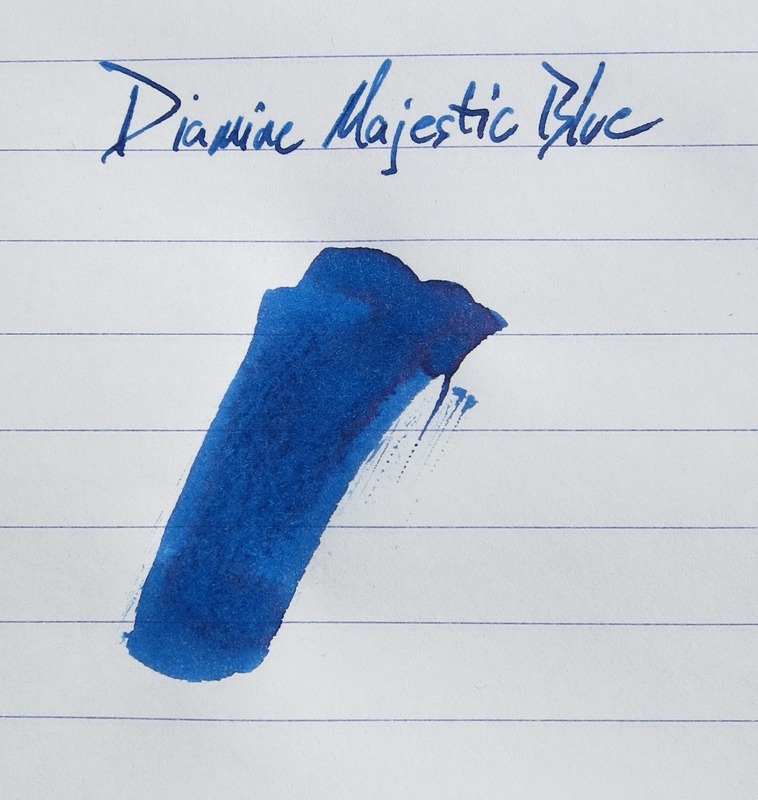 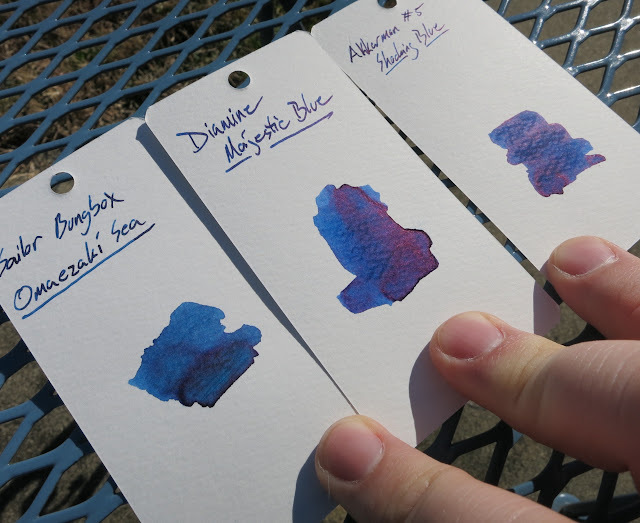 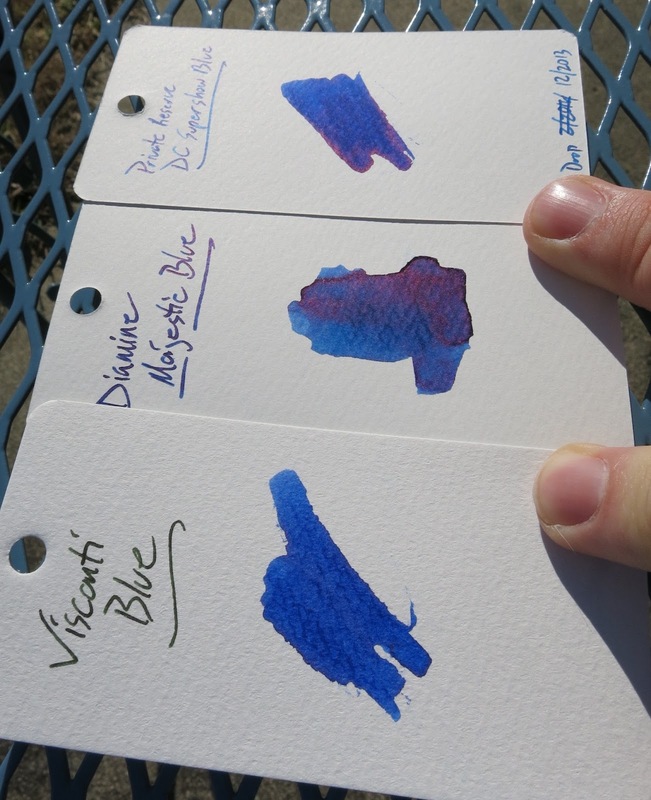 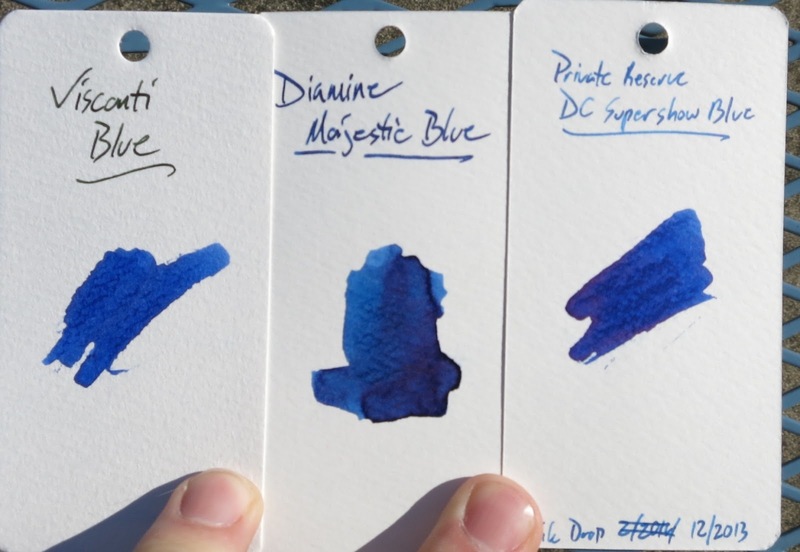 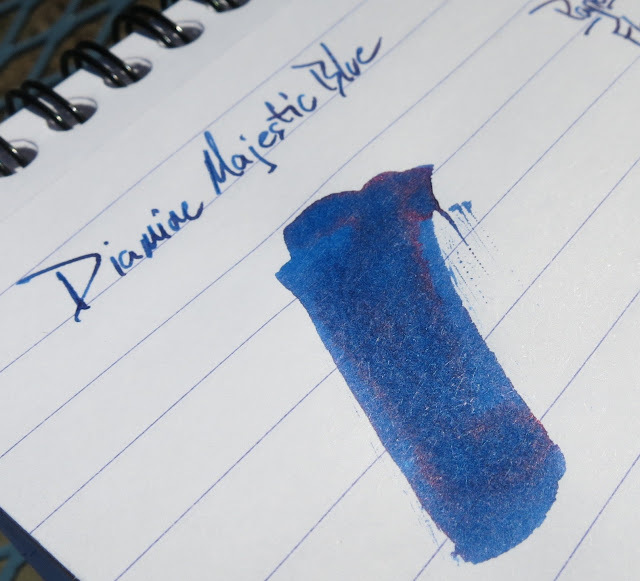 Diamine Majestic Blue | Inkdependence! 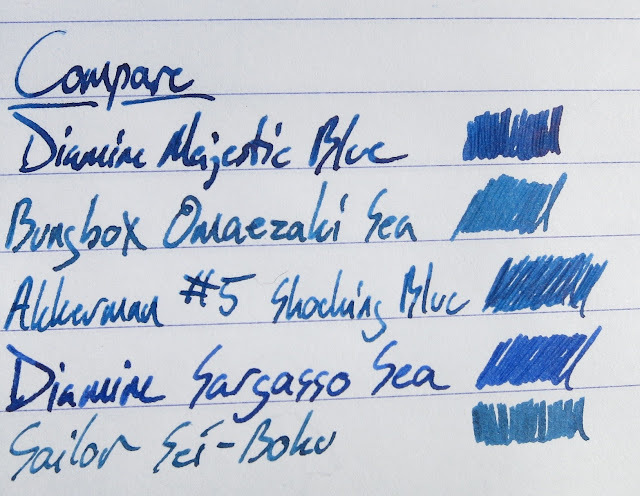 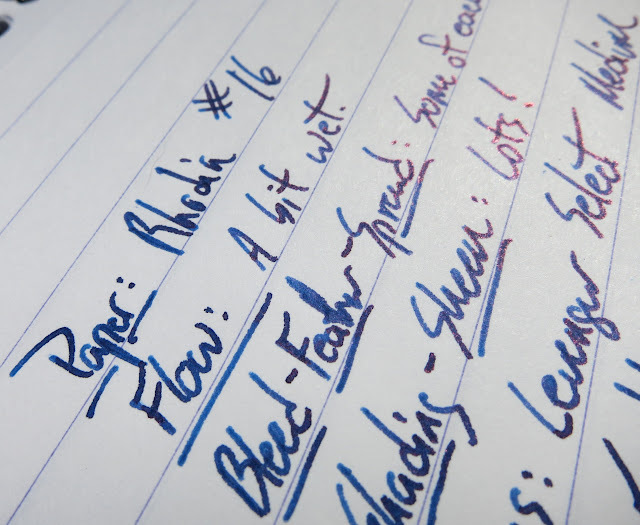 The color is good, and it looks better on regular papers than it does on the coated papers (like Rhodia) because the sheen is so heavy on the fancy paper that it makes the blue difficult to see. The problem is Majestic Blue doesn't always behave itself on copy paper. 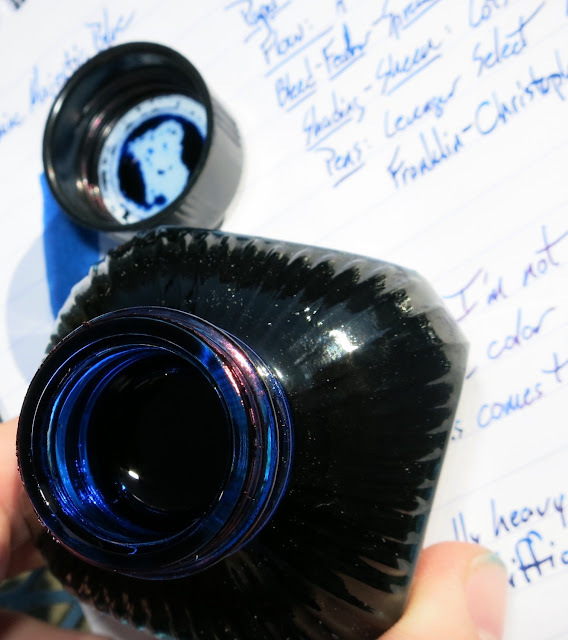 It was okay in the medium nib, but when I moved to the broad stub it bled through. There were feathers from both nibs. 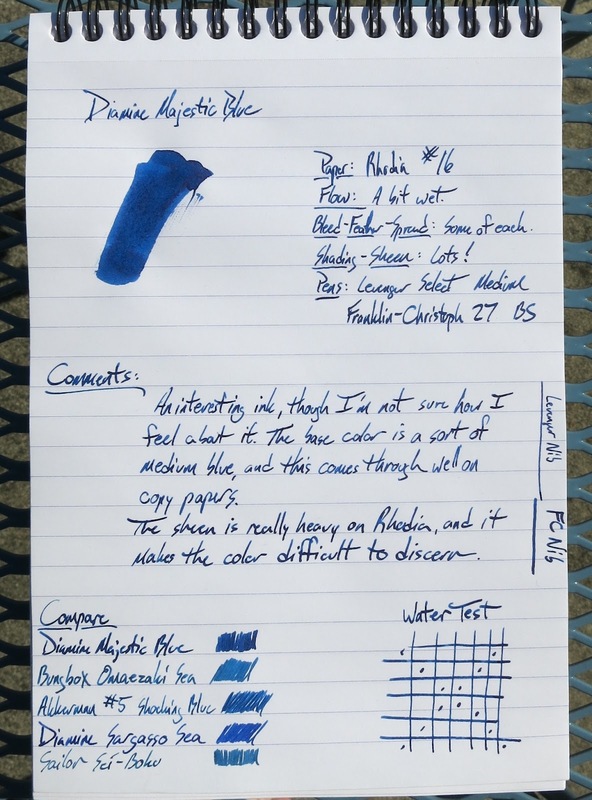 It's not awful performance, but it's not great either. The other issue is that it seems to give me hard starts if I haven't used the pen in a day or so. (You can see that demonstrated in the video.) 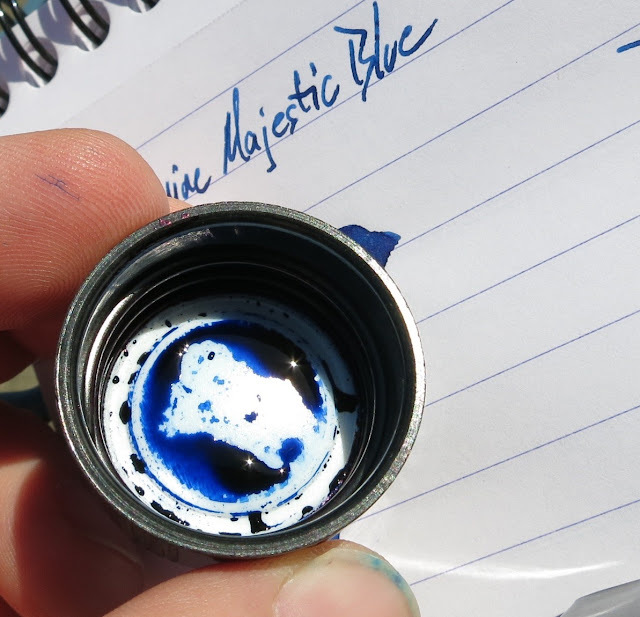 Once it gets going, though, it's a pretty wet ink. 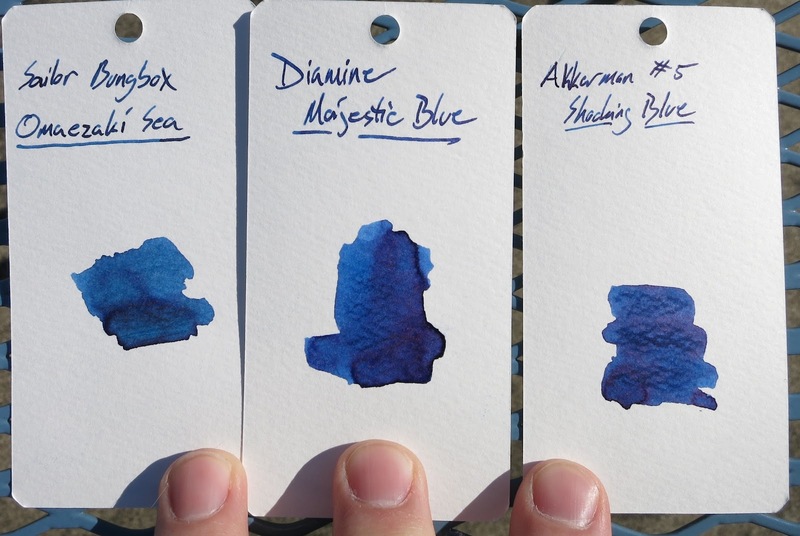 Check this one out at your favorite retailers. It comes in an 80ml bottle for $14-$15. I suggest Bertram's Inkwell or Anderson Pens. 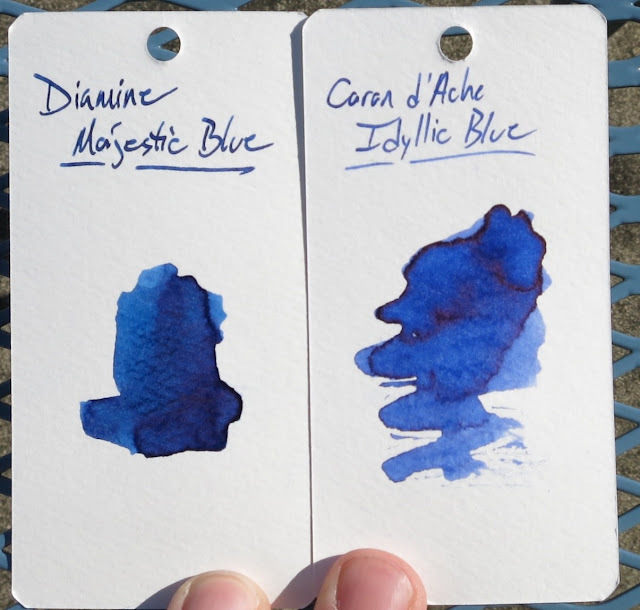 Both are great shops.